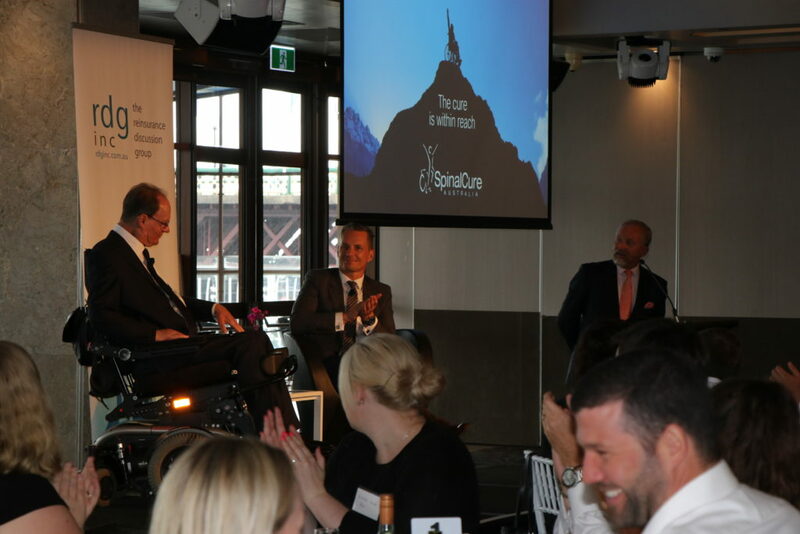 SpinalCure Australia’s CEO Duncan Wallace has reminded the insurance sector of the huge potential for the industry arising from spinal cord injury research. Mr Wallace was addressing a luncheon hosted in Sydney’s Darling Harbour by the NSW Reinsurance Discussion Group (RDG). RDG is a non-profit organisation formed to provide a regular educational and networking opportunities for a wide group of reinsurance professionals in an informal and inexpensive way. Duncan Wallace and Mark Senkevics, Managing Director of Swiss Re ANZ, addressed the audience gathered at Dockside, in Darling Harbour, Sydney, on March 13, 2019. “Mr Wallace took us on a journey of his life,” blogged event organiser and Client Manager at Swiss Re Nikki Lovett. “From his horrific road accident in PNG resulting in him being a C 4/5 quadriplegic and the care he received at the time, to advances in technology and SCI medical research, where a cure is now considered inevitable”. Mr Wallace explained how the insurance industry stands to gain significant cost savings when a cure, or even substantial rehabilitation is achieved. “Emerging treatments are leading to better patient outcomes, which lead to significant cost savings for the insurance industry,” Mr Wallace said. 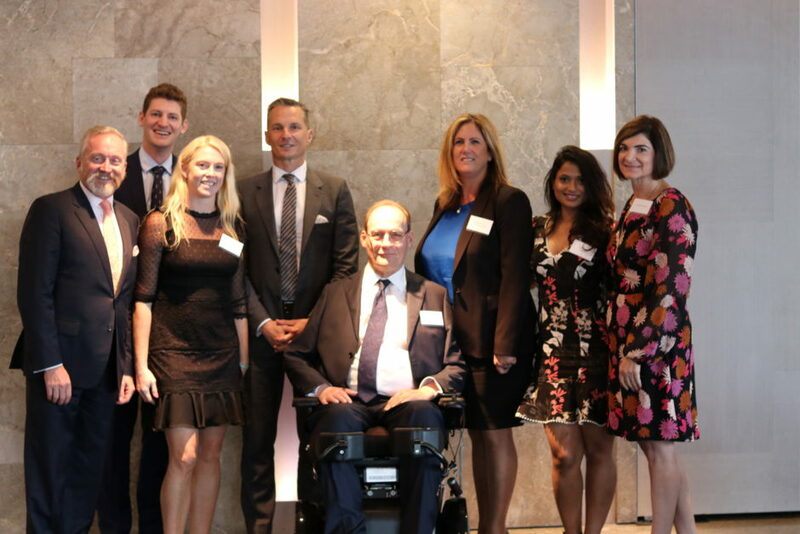 “[By supporting SpinalCure Australia], not only will the insurance industry be supporting a charity, but it will also be taking proactive steps to positively impact the lives of so many Australians and shaping the future of spinal cord injury research, health outcomes and expenditure”. “With increasing consumer expectations on the delivery of insurance services, there is an opportunity for the industry to demonstrate its power to tackle our community’s bigger problems,” explained Mr Wallace. Ms Lovett from Swiss Re agrees. “The insurance industry plays an important role. Mitigating risk is what we do. Through SpinalCure, there is enormous potential for us to get involved through funding and raising awareness,” commented Ms Lovett. Mark Senkevics also praised Swiss Re’s ongoing work with SpinalCure. SpinalCure Australia are extremely grateful for the support received by Swiss Re and Lloyd’s Australia.